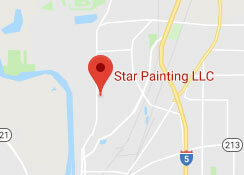 As a local residential and commercial painter serving Salem, we take great pride in offering our services to residents on the outskirts of the city. Our mission to offer the best painting services in the area would be incomplete if we didn’t. No matter where you live near Salem, we make it convenient to upgrade your home or facility. Our showroom, The Tile Gallery, has samples, displays, and knowledgeable assistants all under one roof to make the planning stages more convenient for you. And our free consultation allows you time to discuss goals and get a rough estimate of overall costs. From kitchen and bath remodels, whole-home builds, facility development, accessibility upgrades, and additions and expansions, our full-service painters in McCoy, OR make it easy.